Offering you a complete choice of products which include insulation ceramic fiber cloth, ceramic fiber cloth, ceramic fibre cloth, high quality ceramic fiber glass cloth, high temperature insulating ceramic fiber cloth and ceramic fiber cloth tape rope with wire insert. Use Heat insulation furnace curtain, large area thermal insulation, Radiant heat shielding,etc. Packaging Details: 30 or 50 Meter Per Roll. 100% Dust Free Packing. As Per Your Requirements. Every Bag wills Be At Best Quality Packing. Per Roll will be Pack in a Plastic Packaging. Ceramic fiber bulk is made by chopping the ceramic fiber spun bulk, it is an ideal material for making ceramic fiber board and vacuum formed ceramic fiber shapes. 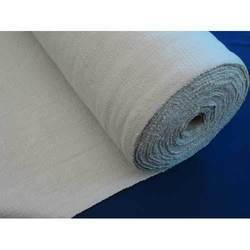 Ceramic Fibre Cloth are capable of withstanding temperatures of 1000c for short periods and make an ideal material for fire barriers and welding curtains. 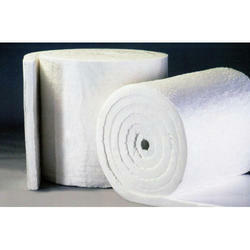 High-temperature ceramic fibreglass cloth It is widely used as insulation cloth, fireproof cloth etc. From the quotation, making sample to proceeding production, until shipment.We will let you know the each process clearly by emails or Phones.And we will also offer you more considerate after service if you have any question for using the fibreglass fabric. 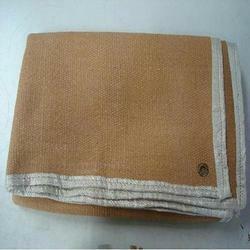 High Temperature Insulating Ceramic Fiber Cloth is a thermal fabric woven from Ceramic Fiber Yarn. Ceramic fiber textile with stainless steel wire reinforcement and glass filament reinforcement. 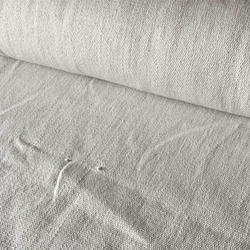 The textiles are used for high temperature sealing. 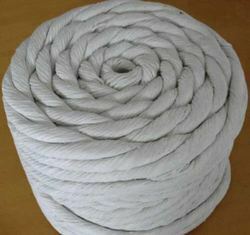 The ceramic fiber products we suppy includes ceramic fiber ropes, braids, cloth, tapes sleeving. 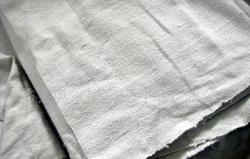 These ceramic fiber textiles are made from alumina-silica ceramic fiber (47% Alumina, 53% silica), free of asbestos free silica. These ceramic fiber textile materials can be used in different industrial applications in temperatures up to 2300F (1260C), have excellent chemical stability and strong resistance to thermal shock and corrosion attack. Exceptions are hydrofluoric and phosphoric acids and concentrated alkalies These ceramic fiber textiles also resist oxidation and reduction. Ceramic Fiber Blanket is made of high purity Aluminum- Silicate and Zirconia fibrous wool. Process of mechanically needled to increase tensile strength .Without any asbestos and organic binders. They are lightweight and flexible for handling and installation. Widely used in high temperature environment. 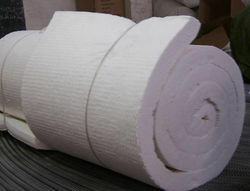 of binder material which is normally burned at lower temperature and does not affect the insulation property . 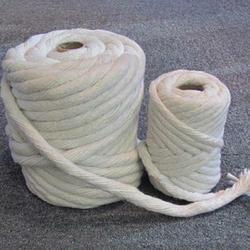 Insert material of metal wire and fiberglass filament are incorporated into the yarn. To increase tensile strength of the fabrics both before and after exposure to heat. Typical applications of cloth ,tapes include gaskets, seals, furnace and welding curtains Or pipe wrapping.